We would like to welcome Ted R. from Charlotte, NC, to the MyTennisLessons team. We pride ourselves on bringing on not only quality coaches, but quality people as well, which is why we are so excited to have Ted on board. If you live in Charlotte, NC, review Ted’s qualifications, teaching experience and hobbies below to see if they would be the right pro for you. Again, we are happy to expand our tennis lesson services in Charlotte, NC, with the addition of Ted. Sign up with Ted R. today! My name is Teddy. 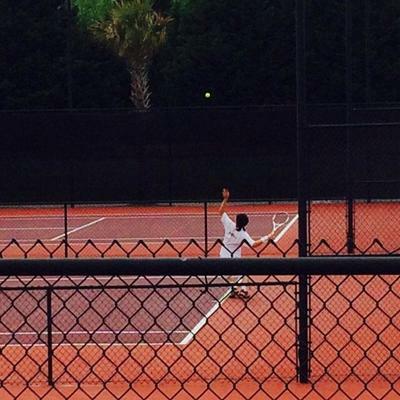 I’ve been playing tennis since age 12 and played junior tennis and high school tennis. My teaching experience ranges from beginner students up to tournament playing juniors. I have experience teaching in a club environment but enjoy teaching independently now with clients of all ages and skill levels! Constructive, I teach for living so it’s easy for me to explain how to do physical motions and training your muscle memories.